A founder of The Noun Project, a site devoted to sharing, celebrating, and enhancing the world’s visual language, he could once be found at a letterpress fashioning original prints and collaborating with fellow members of the design collective, The Post Family. 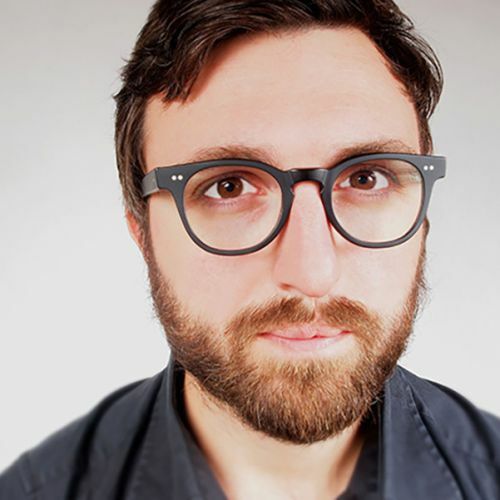 All that came to a halt when he became the Design Director for the 2008 Obama Campaign and found himself growing a Lincoln-like beard and redesigning WhiteHouse.gov. Following that historic election, he self-published Designing Obama, a chronicle on the role of art and design in the political realm, and went on to collaborate on projects around the globe for clients including Fast Company, Apple, IBM, HP, Nike, Patagonia, Levis, the Alliance for Climate Protection, and Craigslist. His work has been featured in Wired, Print Magazine, The Atlantic, and The New York Times, and he plans to continue working on creative projects with his team at Simple.Honest.Work that might one day change the world.